A look at Shazam’s use case for Einstein Analytics including: usability, out-of-the-box capabilities and increased employee productivity. Benefits overview including: improved data quality, improved customer segmentation and improved analyst retention. 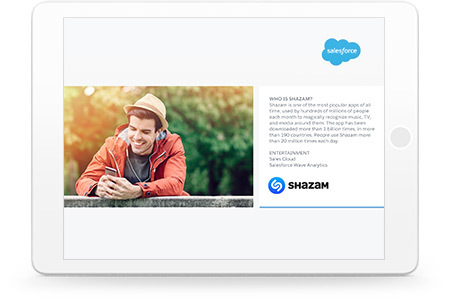 See how Shazam uses Einstein Analytics to drive ROI, increase employee productivity and retain existing customers. This ROI study was developed by Nucleus Research. Salesforce has purchased the rights to reprint the ROI study. Then download the case study.